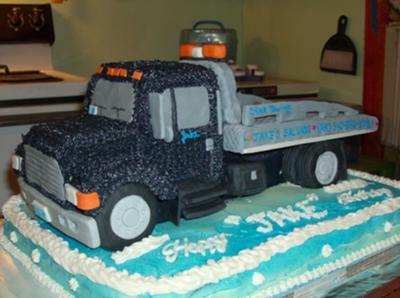 The bottom cake of this wrecker cake is chocolate cake. The cab of the truck is pound cake. The bed, fuel tanks tool boxes tires are Rice Krispy treats. I did this one for one of my truckin buddies' father-in law.